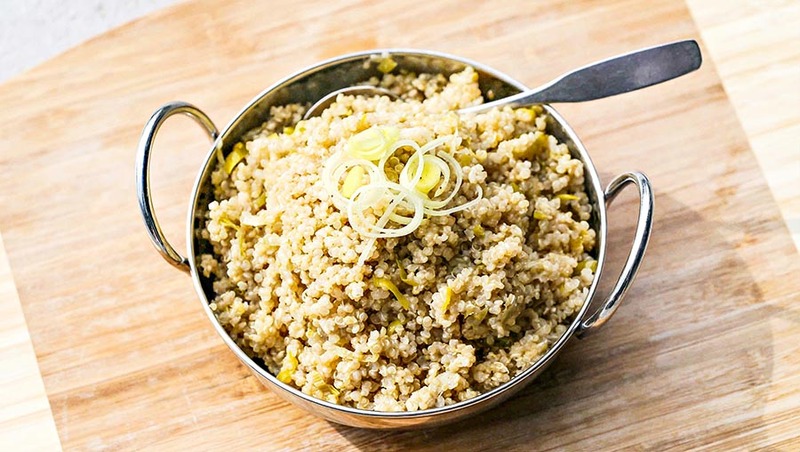 There are many important reasons to Eat Quinoa……If you’ve been hearing more about quinoa lately, that is because it is considered a “super food,” quinoa, (“KEEN-wah”) is a relative of beets, spinach and Swiss chard, but its seeds resemble a whole grain and are prepared and eaten in much the same way. Available in light brown, red and even black varieties, quinoa is light yet filling and has a mellow flavor. High in magnesium – magnesium helps relax blood vessels, which may result in fewer headaches for migraine sufferers and decreased risk of hypertension and stroke. A good source of manganese, iron, copper, phosphorous, vitamin B2 and other essential minerals. The richest source of protein of any grain. It is especially high in lysine, an amino acid that is typically low in other grains. Quinoa’s protein is complete, containing all nine essential amino acids – a rarity in the plant kingdom. Always wash quinoa before cooking!